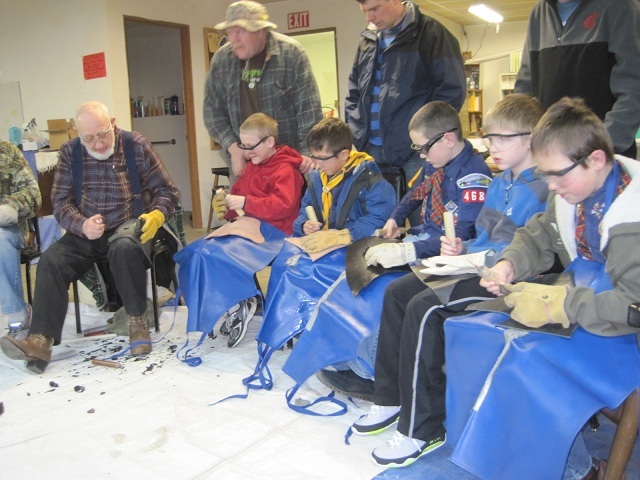 PSK members Chuck Prentiss and Harvey Hughett spent Saturday February 9th with the Spokane Rock Rollers Rock Club teaching a number of their members the basic of flintknapping. 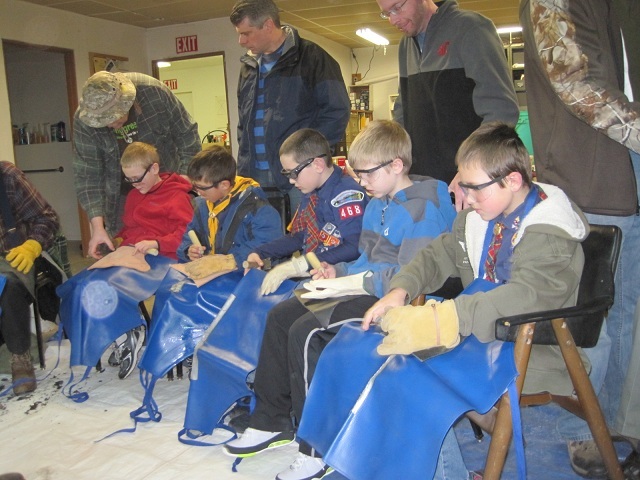 Not only did the Rock Rollers show up in force but they invited a bunch of Boy Scouts as well! 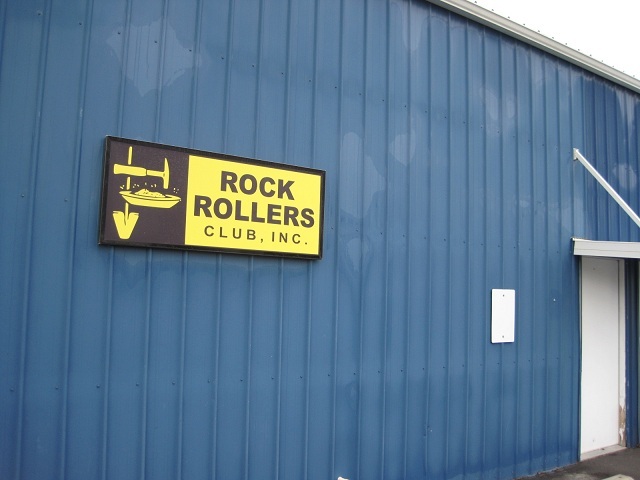 This was the second weekend for Chuck with the Rock Rollers and the first for Harvey (Harvey had the flu the week before and wasn't able to make the first session). But both Chuck and Harvey were too busy teaching to take but a few photos - but here they are. 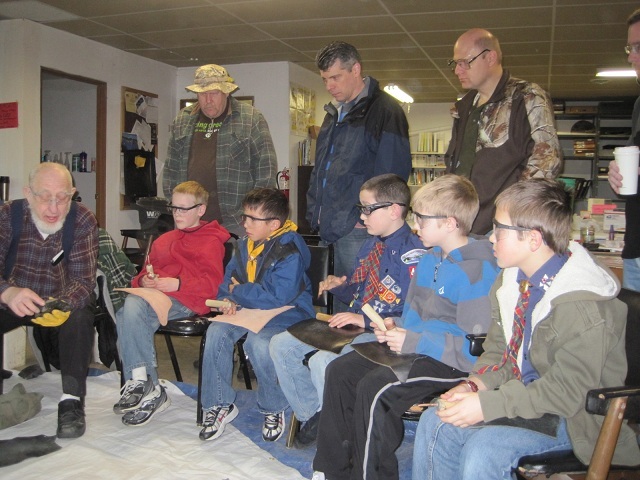 Here's Chuck instructing the Scouts. 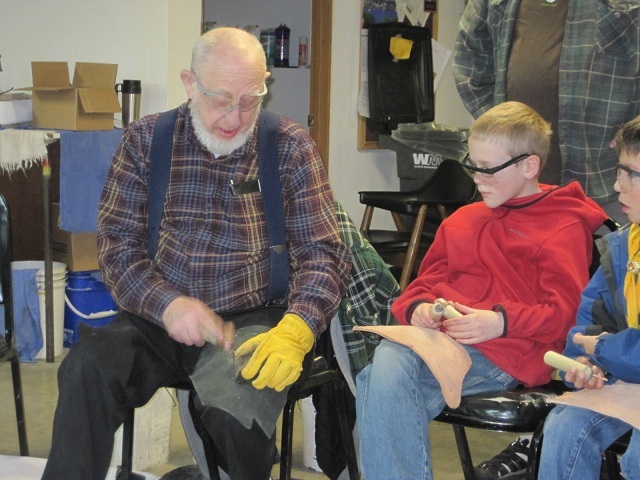 Chuck learned to flintknap from the legendary Dr. Joe Higgins and in keeping with the tradition of the PSK is actively involved teaching flintknapping whenever and where ever possible!